With the ability to fully customise the design and specification, our buildings are perfectly suited to the Custom Build and Self Build homes sector. Custom Build is where a developer will typically purchase a site, produce a master plan with individual building plots (the size of the site and plots can vary considerably), obtain planning permission for it, undertake any necessary site works and arrange for services and utilities to each of the individual plots. Larger Developers, house builders and main contractors (as a non-compliant tender or bid) can also incorporate Custom Build homes within projects of say 30 homes or more (perhaps 10% for example). This could have a positive impact on gaining community support and the planning process as councils have a legal obligation to provide adequate land provision for those who want to build (or customise) their own home. In this instance we would typically agree a house type and the extent of customisation with the developer, customise the home with the purchaser and agree the fixed cost with them, then we would act as a supplier to the main contractor, supplying the entire building system including all components for the contractor to build as part of the larger development. Please email us for more details about this. • the number of bedrooms (2, 3, 4 or 5). • the front door style. • rainwater harvesting (if the site has sufficient space). • a huge choice of floor finishes. We normally provide a full “turn-key” level of service, but most developments will also allow us to build just the shell and you can complete the internal layouts yourself. For more details, please give us a call to discuss your project, or complete our project registration form – once submitted you’ll receive an email with a link to our digital Purchase Options & Prices brochure. We can also produce bespoke designs to meet the specific requirements of Custom Build projects, such as plot sizes, external materials and Design Code / Masterplan compliance. We’re involved in a number of Custom Build developments as a “home manufacturer” or supplier, including those projects listed below. There are four generic ways that custom and self-build projects can be brought forward, but each of the four models can be adapted to suit a particular context. Please get in touch with us if you’re a developer looking for home manufacturers. 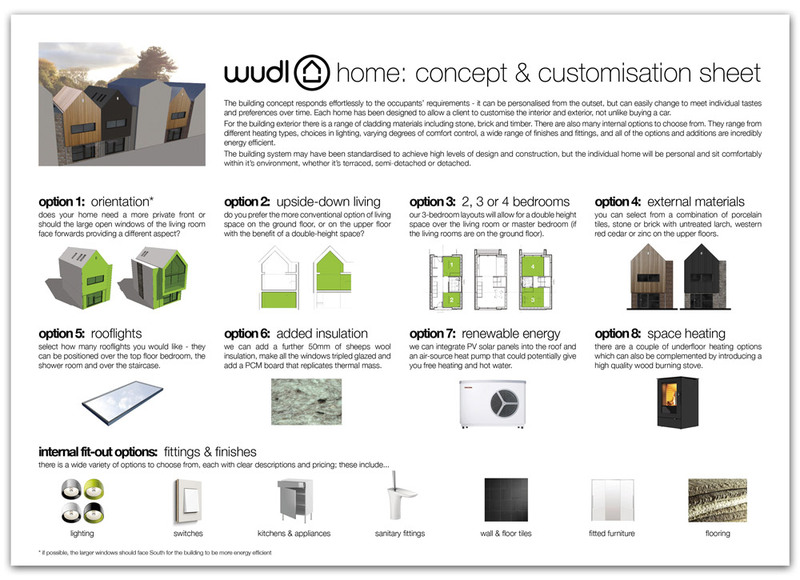 If you’re a home owner wanting one of our designs, please ask the developer if we can be included in the range on offer…! 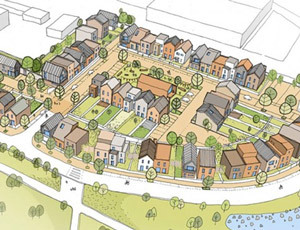 The development includes 54 custom build plots, which will offer people the chance to design and build their own home with a manufacturer chosen from Carillion-igloo’s specialist panel. This site is one of the Homes and Communities Agency’s (HCA) biggest custom build projects. For this project we will be offering our urban home house type. 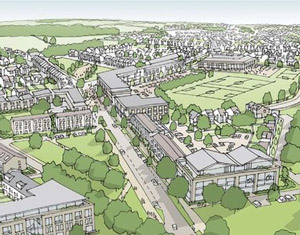 The site is big enough to accommodate up to 1,900 self-build homes – there is the potential to provide a wide variety of sizes, including large individual plots for grand designers or smaller plots for people on more modest budgets. For this project we should be able to offer a variety of different house types. Through our sister company Fabric, a not-for-profit Community Interest Company, we can also develop housing projects with a specific focus to allow them to be co-designed by the residents, ensuring they are affordable and sustainable.